We sometime need triggers to stay on top of the abundance of data we have to analyze. That's why it's convenient to always get an overview sent straight to our inbox and easily decide if your attention is needed. 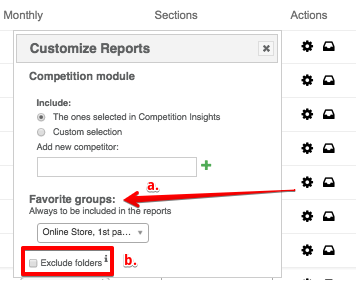 Customizing reports adds complexity to your work and that's why we "translated" the data for you, in a few standard modules that you can choose to have in your email reports. Instead of looking at individual keywords that refer to the same user intent, we automatically gather these keywords under the same topic. Most of the times the ranks will vary for the entire topic, rather than for individual keywords and that’s why we’ve chosen this topic view, rather than the more classic keyword view. 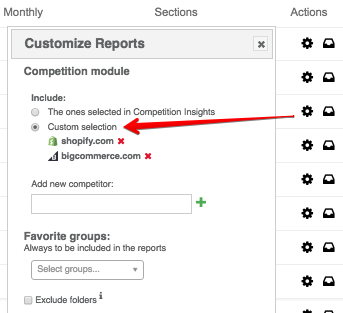 Shows your competitors' visibility trend for the keywords you're tracking. You can see the full list in the Content Performance section in the platform (read more about it here). 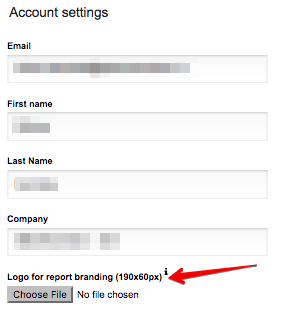 On the fly reports can be generated on-demand, through the "Send a custom report" button shown above. Did you know that you can also have branded reporting by adding your logo for the header in Settings >> Account settings?